Today we have for you the second issue of our fiction magazine Nisaba Journal: Adventures in the Dark. Open the Nisaba Journal and immerse yourself in original fiction gathered from your favorite worlds. 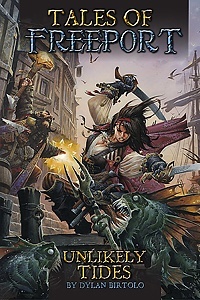 Issue Two collects seven tales from three of Green Ronin’s most popular settings—Freeport, Blue Rose, and Mutants & Masterminds—and offers ideas for incorporating the heroes, villains, and adventures from the stories into the ones you tell in your own campaigns. She was cast away on a forgotten island, but the hope of rescue brings a confrontation with an old enemy. Seeking answers, a young woman and her rhy-horse venture into the forest, and encounter an unexpected ally. All she wants is to be left alone, but that’s not in the cards. Can she hold her ideals, or will Emerald City see the rise of another villain? Foul plots choke Freeport, and an unlikely pair of uneasy allies must find the source of the evil. The Rose Knights draw closer to the source of the shadowspawn plots, but enemies lurk in unlikely places. He thought he was getting away with murder, but tonight, he’s not the hunter. Hired to protect a notorious witch, a gunslinger finds herself caught in the midst of a bargain gone awry. In case you missed them, we have quite a bit more fiction to choose from as well. 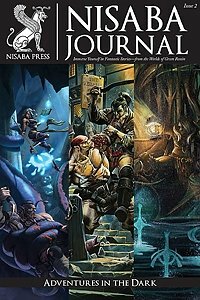 Nisaba Journal Issue 1 is of course also available, and features six terrific tales, also set in the worlds of Freeport, Mutants & Masterminds, and Blue Rose. 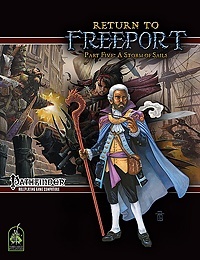 Tales of Freeport: Dark Currents includes three stories set in the City of Adventure. Shadowtide, by Joseph D. Carriker, Jr., is our first novel, from the rich setting of the Blue Rose RPG. And there’s more where those came from. This week Nisaba Press presents a new Blue Rose short story, “Quartet of Thieves” by Clio Yun-su Davis. 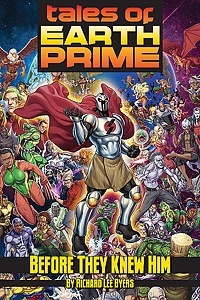 A young woman travels far from home to deliver an important letter but must band together with a boy thief, his rhy-fox companion, and a caravan guard to steal it back when it gets taken by a criminal organization. 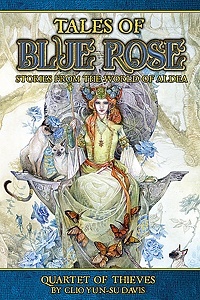 This Tale of Blue Rose can be yours to read in your choice of PDF, epub, or mobi formats, for just $1.99. It’s story time for this week, but there’s no need to gather ’round. You can purchase this Blue Rose tale and read it at your leisure, in your choice of PDF, mobi, and epub formats, for just $1.99! In “The Cutpurse With His Trousers Down,” a master thief sees the perfect opportunity to frame his rival, and learns that best laid plans are often the first to go awry. Author Brandon O’Brien is a poet and writer from Trinidad and Tobago whose work has been shortlisted for the 2014 Alice Yard Prize for Art Writing and the 2014 and 2015 Small Axe Literary Competitions, and appears in Strange Horizons, Uncanny, Reckoning, Arsenika, New Worlds, Old Ways: Speculative Tales from the Caribbean, and other outlets. He is also a performer with The 2 Cents Movement, and the poetry editor of FIYAH: A Magazine of Black Speculative Fiction.